I can remember the time when Dream Chronicles's first release just went out and was something pretty unique. The adventure part that is so common these days wasn't that popular back then. But does this next release on the series pass the test of time, that brings about changes? Having made it back home, Lyra find out that her town was hit by a severe storm. Sometimes when we just went through one challenge in our life, hoping to get to the point of rest and peace, we only come to the next challenge. This is what is happening with Lyra in Dream Chronicles: The Book of Water. Having made it back home, Lyra find out that her town was hit by a severe storm. That was the result a curse cast by the evil fairy queen of Dreams. Lyra's father is very ill and her mother is missing. So find the way to save your family and town is the next task for you. One of the things that you notice right away is that the game is pretty easy. That can be kind of a disappoinment especially for those who play lots of games of this genre. What you will notice after a while is that the game is pretty short too. I guess the game was meant to please the real fans of Dream Chronicles series, who will forgive that because of their deep affection for the series. One of the things that do not disappoint in this game series is the graphics. They are as always gorgeous and beautiful. The soundtrack is another nice thing here. 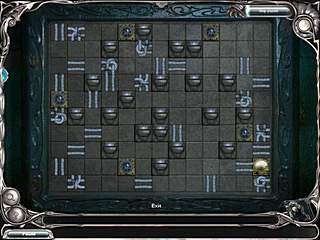 As to the gameplay, you will encounter the same kinds of tasks as in the previous releases. 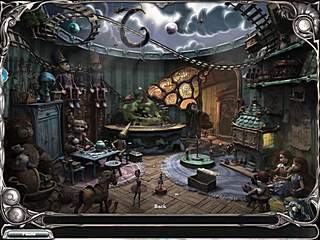 There will be lots wandering around, different puzzles, and also some hidden object scenes. As I said, you either have to be the series fan to like the game the way it is, or you better try a free version before buying it. Hard to top that doing a full on 3d game by yourself is a tough pseproct to say the least. What you have looks good the motion capture in-house studio explains it though. Just modeling and texturing time after that. This is Dream Chronicles: The Book of Water for Mac review. Download this game here.